A Hammer-Dram, which unfortunately could not quite convince the crowd in the tasting. But now I finally understand why: This whisky is suitable for the sofa and not for a hectic tasting. With time and peace, he unfolds a grandiose complexity, which I have not yet experienced from Hazelburn. A great complex whisky, compliments to the barrel owner, everything was done right! Nose: Round, mellow, elegant, slightly malty and nutty (hazelnuts), with some sea brine, light mineral and harbour-like flavours. 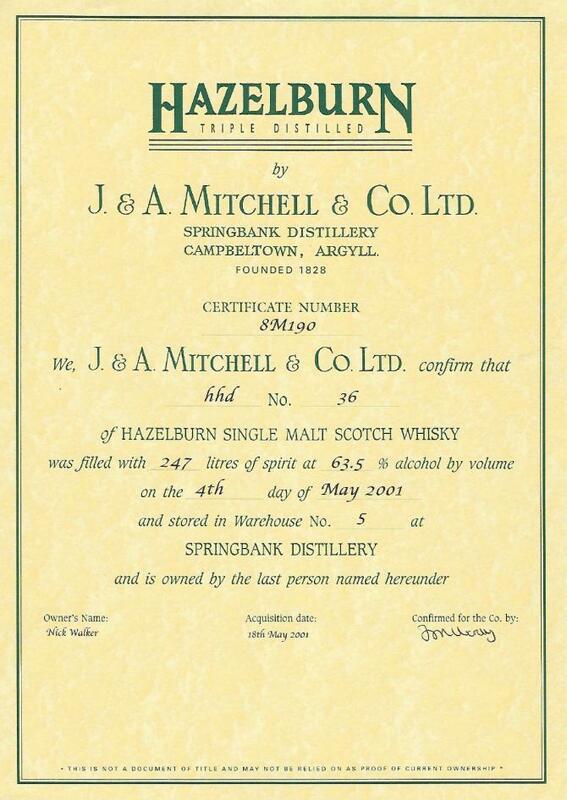 Slightly fruitier and less smoky and peaty than the Springbank. Taste: Malty, fruity, juicy to very juicy, mellow, on soft leather, orange, tangerine, some hand made fudges, sea brine, soft spices and tarte tatin. The finish is long, very pleasant, on soft spices, stewed fruits, tarte tatin, nice malty flavours, some orange, tangerine and mango. Diluted it becomes slightly bolder and spicier, with light nutty flavours and some butterscotch. Impression: A mellow and well balanced whisky, on nice cooked fruits flavours, tarte tatin and soft spices (mainly cinnamon). 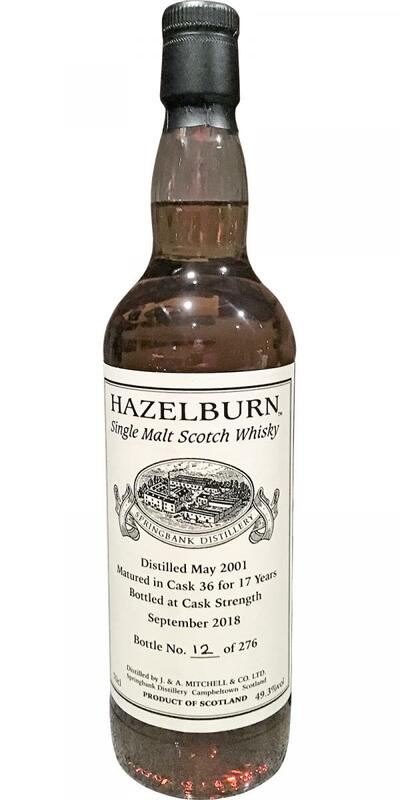 The oldest Hazelburn I have seen and tasted. Dangerously drinkable. Thank you Nick. This is possibly one of the finest whiskies I have had the pleasure of drinking, leaves a subtle warmth in the palette and is a smooth drink. I would highly recommend to anyone who enjoys a good whisky.